It’s been a while since we had a tip for beginners, so here is a quick post for the wildlife photographer. It’s not uncommon for friends of mine to see a photo like the one below and for them to ask where I took it. Quite frequently my response to them is, “From the window of my car.” They usually laugh thinking that I am joking and then I tell them that I’m serious. If you take many wildlife shots, you will quickly realize that oftentimes animals are acclimated to cars and if we stay inside them, we don’t stress them as much and they don’t flee as fast. Thus, one of the most effective blinds from which to photograph can be your car which allows you to approach much closer than if you are outside walking. Taking photos of wildlife often involves using long lenses and of course, keeping them steady is critical. However, a tripod just isn’t handy or convenient when you are sitting in a car, so what to do then? Well, an indispensible tool in your kit is a bean bag. Some bean bags, such as the Apex Bean Bag come with a plate on the top surface that allows a ball or gimbal head to be used. This adds to the cost and weight of the bag but it can make panning easier. Most bean bags come empty and you fill them with the material of your choice such as beans, rice, buckwheat shells or plastic or styrofoam beads. An obvious advantage of this is for shipping and travel. It keeps the size and weight to a minimum until you need it and almost every country has beans or rice or something that you can use to fill it. What you use can be a matter of preference and convenience. The heavier the fill, the more stable it can be, but obviously, it can be a burden to carry if needed. I have mine filled with buckwheat shells which are light, yet they absorb the vibrations well. Recently while out shooting, a friend picked up my bean bag to hand to me and he was surprised by how light mine was compared to those filled with beans. The platform needs to be wide enough to cradle the lens and deep enough to balance it. If it’s too shallow in depth (front to back) then a large lens may not balance well on it and may pivot unwantedly. If you have large lenses such as 500mm f/4 or larger, then you want to make sure that the support is large enough to accommodate it. Now most of us will never have a cat try to let the beans out of our bag, but durability is a good thing! Lastly, consider a water resistant or waterproof bag because if the bag gets wet, your beans may get moldy and pretty nasty. If your bag isn’t water resistant, you can buy water repellent spray and treat the bag yourself. The filler in the bags helps to dampen the vibrations to steady the lens and camera from shake. If you have doubts, rest a lens on the window of the car and take a shot, then use a towel or some other cushion and take another shot, compare the two and you will see a difference. Bean bags are great for shooting from car windows, but also are handy for making a rest on the hood of a car, a fence or a pole. They are also good for shooting from the ground to get a low perspective. I like the bag that I have from The Vest Guy which is also available through B&H photo. It’s affordable, durable and the platform is large enough to rest my d4/500mm combo without holding it, thus giving my arms a break and making it easier to shoot for extended periods of time. Panning is a bit of a challenge but if I anticipate that I may need to pan, then I will sometimes put my left hand underneath the lens and rest my hand on the bag so that it is ready to move if needed. I am embarrassed to admit that in the past, I usually just threw a sweatshirt or jacket over the car window and used it to rest the lens. Then a couple of months ago I finally used a real bean bag and I immediately realized what I have been missing. It gives your arms a break and makes for more comfortable shooting while at the same time minimizing camera shake. So if you don’t currently use a bean bag to steady your lens when shooting from a vehicle, you gotta make one or buy one but either way, get one. You won’t regret it. 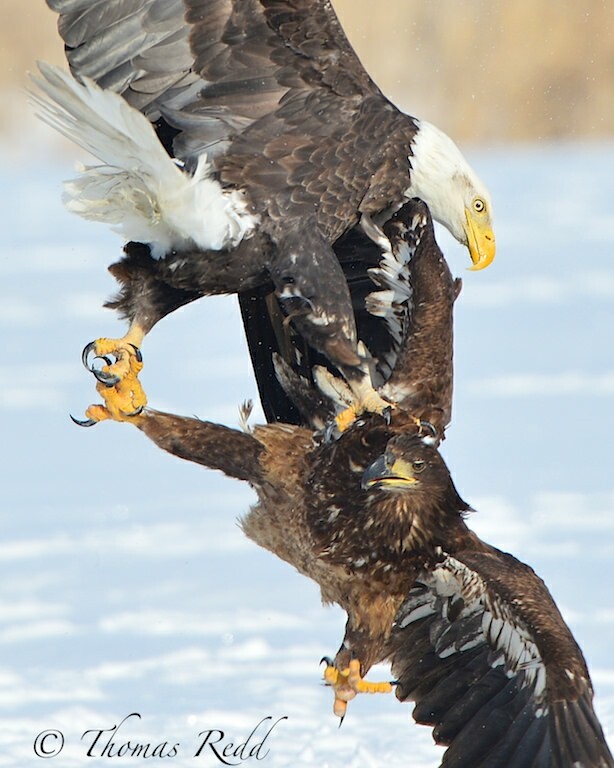 Damn…that’s a nasty fight (re: the 1st shot with the mature eagle going ape on a juvie). Planning on a 600mm purchase in 2014, so I’ve been thinking about a bean bag because I tend to shoot a lot from my car. Still considering a tripod and a gimbal, but when i’m shooting from my car, the bean bag would be of use. Any thoughts on the Apex, and would that be worth the money versus a cheaper bean bag. FalconRose, thanks for the comment. As for the Apex, I haven’t used it, but would like to try it. In theory, it would be great, however, the concern that I have is that the unit would be top heavy and so you might want to be sure to secure the base/bag. Maybe one of our readers can share their experiences with this one or a similar one. Great tip Tom. But you don’t have to buy one. My wife made me a couple years ago from a soft canvassy sort of material. They have a zip down one edge for filling when needed. I keep them in ziplock bags which are big enough to hold them when filled. (Ive even filled them with sand or dirt on occasion when nothing else available. Then wash them when we get home. Carry one in the glovebox of the car and the other in one of my bags. Tony, thanks. You are correct, these can be made, I am just lazy :). Make sure you thank your wife :) Thanks for reading and for sharing your comment. All the best Tom and thank you for the article. Fabulous shot of the Eagles, love it! Your writing maintains the very high standard that seems to be the norm on PhotographyLife.com. Tony, will you ask your wife to share the pattern please? Tom Redd!! I’m seeing this name in Photographylife for the first time.. All the Best!! While the bean bag idea is great a less bulky solution is available by taking a piece of foam pile insulation – slit it length wise on one side and slide it over your window. For a mere $1.19 for a six foot piece of insulation I made 3 tripods (one for each vehicle). The great thing is they take up little or no room in the vehicle and slip on an off easily. Thank you Tim, great idea. I also know of some that use the “swim noodles” and cut a slot into it and use it as you do the insulation. Definitely works and is economical. One advantage of the bean bag is that the platform is larger and allows me to let go of the rig and get a break from holding it. Thanks for reading and for sharing. That should have read pipe insulation instead of pile insulation – bad fingers early in the morning. Tom…such a great article and fabulous Bald Eagle shot!! Good Work! Tom…such a great article and fabulous Bald Eagle shot!! Good Work and thanks for the website link. Thank you Barbara for the use of your cheetah photo. Thank you for a most interesting article. May I add to the discussion a further product, for consideration. I carry a Red Pod in my bag wherever I go. It fits very economically, at the end of my camera and 70-200 f2.8 (pod mounting screw facing into the away, of course) in the closed bag. It’s light, and compact, even filled (it comes filled with white plastic grains, wrapped in polythene), and can be a real life saver. I have screwed it on to a 300 f4/TC14E combination, and have propped it against the ledge of a safari vehicle in Kruger, with very satisfactory results. Within the same hour, I was photographing birds in a picnic area, propping the mounted pod against a tree. Because it is light and portable, I always carry it filled, so there is no time wasted in filling it when it is required. Obviously, with a much bigger bean bag, heavily filled, you will get greater support, but that comes at a cost, in every sense of the expression. At the moment, a Red Pod can be bought for just over £13 (in the region of $20? ), if you look around. It won’t suit the requirements of everyone, all the time, but as a VERY handy, portable bean bag, I find it invaluable. Martin, thank you. We appreciate the readers sharing their ideas and experiences for us to all benefit. Tom, great shots, really, and the bean bags: of course, with the gimbal palte they are great but take a lot of space. Make us the pleisure and show us more form your shots. I use Naturescapes bag that looks much like the one pictured above. It’s truly indispensable. However, after using rice/beans to fill it, I got tired of throwing the filler out and wasting it. Now I pickup a bag of wild bird seed and use that as filler. Works great and when I’m done I can sprinkle the filler around (not everywhere) and at least it isn’t wasted. Robert, great idea to use the bird seed. I have also heard that in some countries, the rice or beans have been welcomed gifts to the locals from the photographer as they leave – similar idea to waste not. Thanks for sharing. I agree with you Tom. When in Africa, I buy beans for about $5 and then give them to my driver/guide so he can donate them to an orphanage when I leave. 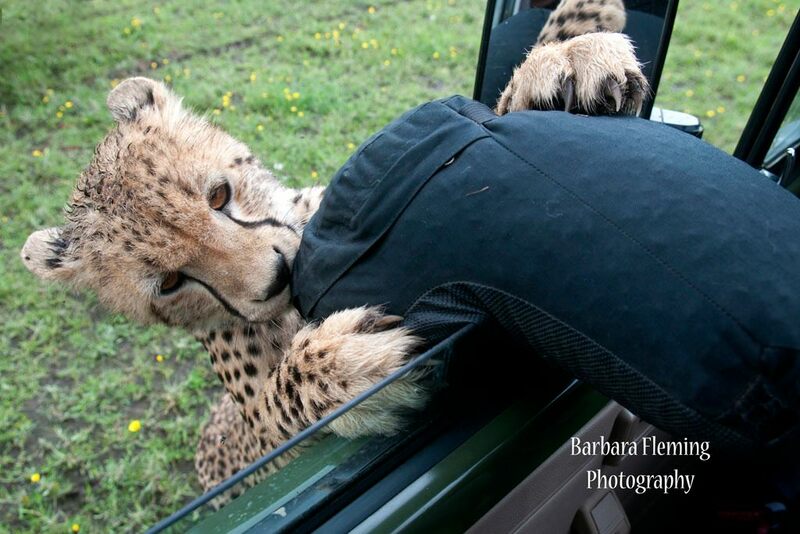 Works great and keeps the beanbag on the vehicle, when in winds or when curious cheetah are around! Fantastic photo – by anyone’s standards. Interesting, effective and simple- great write up, Tom! I know this question is slightly off topic. I will be travelling to several National parks this summer and would like, if possible, a lens recommendation. I have a Nikon d600 with a 24mm prime lens and the 28-300 kit lens. I would like a lens for wildlife photography. I have seen Nasim’s review of lens for wildlife photography (photographylife.com/best-…hotography) and he really likes the Nikkor 300mm f4 However this review was written before the new 80-400mm lens was released and comparing the MTF charts they both look very good with maybe a slight edge to the 300mm before adding a teleconverter. The 80-400mm has the advantage of being the only lens I would need to carry on hikes, while If I get the 300mm I would also would probably have to carry the 28-300mm lens as well. So my question is do you think the new 80-400mm is a good lens for wildlife photography especially it autofocus speed, and its sharpness or would you recommend getting the 300mm f4 with the 1.4 teleconverter. Josh, we are working on the 80-400 review so stay tuned and take what I say as very, very preliminary and subject to change. In short, for wildlife, the 300/4 and 1.4x TC combo is sharper and would be our choice. Obviously, the convenience of a zoom is always a plus, but it usually comes at a cost. What I can tell you is that the new 80-400 does focus faster than the old. As for the image quality, the edge would go to the 300/4 combo. That said, we have requested another copy of the 80-400 to test. We are not convinced that the copy that we first received was a good copy. It was soft at the long end. Keep in mind that more often than not in wildlife photography, you will be shooting at the long end and if that is the case, then the ability to zoom becomes less of an issue. Think of how you usually shoot the 28-300 lens you currently have when using it for wildlife and my guess is that you shoot at the 300 end most of the time. Obviously, it is not always the case. Also, as you consider it, think how often that at 300mm, you still crop your image to get closer. I had a similar decision to make – buy a 200-400/4 or a 30o/2.8? After some time, I decided on the 300/2.8 because it takes teleconverters better. Have I wished I had a 200-400 instead? Yes, at times, but I really haven’t lost sleep over it and overall, I wouldn’t change my decision if I had to do it again. I hope that gives you some food for thought. If you can hold on for a bit, hopefully, we will have a better feel for the new 80-400 and will get the review out before you leave. Either way, have a great summer! I really LOVE my 200-400 however and would not change it for a second. The only thing that would be better….Nikkor to make a 400-600mm with the same speed and sharpness….and not too much heavier! Barbara, I like your thinking on that 400-600 – good luck with them making one. You are right, the 200-400 is a great lens. I know a photographer that switched from Nikon to Canon, but kept his 200-400 – just in case he switched back – he loved it that much. I also have talked with more than one canon shooter that covets the Nikon 200-400. Definitely a great lens. Tom great article! 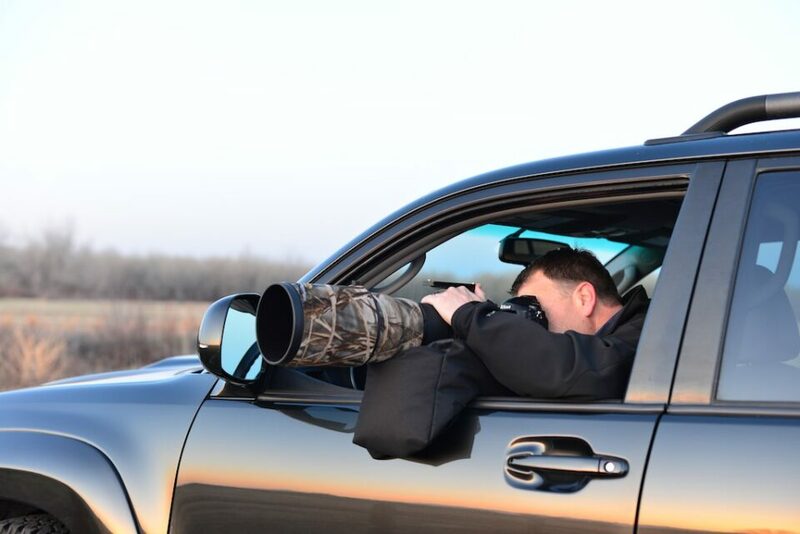 From trying wildlife photography I find your tip on using the car as a blind to be very true. I am still surprised as I see a bird on a fence post sit still while a vehicle passes with in 10 feet, but a person walking cause the bird to fly off when they are 50 yards away. Thanks again for a great tip! What size beanbag do you use? TJ, I use the large size bean bag from The Vest Guy. It works well with both a 300mm/2.8 and a 500mm/4. If you have a 600mm, you might want the extra large. You could call them and they would be happy to give you guidance based on your needs and lenses. Styrofoam (polystyrene) beads can be hard to source – if you’re looking for some, you can find the little bb-sized round pellets (about 1/8 inch, 3-4 mm wide) at ahhprods.com. We’ve had photographers get our beads and have been satisfied :) Usually sold in 4.5 and 9 cubic feet, but you can always request smaller sizes! My Safari Sack filled with beans is really heavy. Filled with buckwheat hulls, it’s very light but not as stable. I have found that sunflower seeds make a good compromise. Thank you Winston for another good alternative. Pat, try buckwheathull.com but I’m not sure if they ship to Canada. If not, they might have a suggestion for you. Rob, at thevestguy.com ships to Canada but it is a bit pricey, but if you can’t find anything else, they can help you. Another option if you are looking for light weight material – styrofoam “beans/beads” for a bean bag. Good luck! Thanks for the shoutout, Tom. We sell the bean bags empty with the option to order them pre-filled. BuckwheatHull.com is a another resource. Often times the shipping is just as much as the product does so it pays to order in bulk. For smaller quantities you can sometimes find them on amazon.